You may take class with me once again, this time via online video. Please visit autumnward.pivotshare.com. Subscribe ($19.99/month) for unlimited access to the full library, or go one class at a time with 10-day rentals. This is an ongoing project, and I anticipate adding 3 to 4 new classes every month. 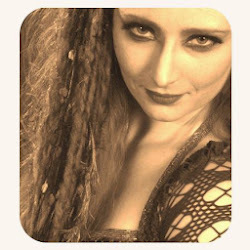 I’m a dancer, choreographer, class instructor, and traveling workshop presenter, specializing in artistic belly dance. My work on appears on DVDs, including Belly Dance, Beautiful Technique from Step One as well as several other instructional, reference, and performance programs. I am currently based in New York City. I began dancing professionally in 1999, following a formal apprenticeship in Oriental dance with M. Lisa Forner (a graduate of UCLA’s ethnomusicology master’s program). A childhood gymnast, I was uninspired by ballet classes and initially pursued music and drama, but then found a calling when I began studying ethnic dance in 1994. My training and expertise includes Middle-Eastern classical, social, and folk dances from Arabic, Turkish, and Persian traditions; dances from Central Asia and the Caucasus; flamenco; kathak and other Indian dance; and African and African diaspora dances. In addition to solo work, I was a principal dancer of Washington, DC's Silk Road Dance Company (directed by Laurel Gray) from 2000-2002, and danced with Mosaic Dance Theater (a New York City theatrical folklore company featuring the choreography of Samara) from 2004-2006. I have performed at cultural events in partnership with Yasser Darwish (director, Egyptian Celebration); created Oriental dance in collaboration with Ranya Renée; and created Arabic folklore working in company with Ranya and Egyptian dancers Mohammed Fawzy and Sameh Fayed. I perform Oriental dance on several commercial DVDs, including IAMED’s Sixth Awards of BellyDance (2003). Parallel to my traditional work, I am a leading innovator of contemporary belly dance. In my signature technique I’m known for fluid precision, but, unlike the tensioned tribal fusion style usually associated with this description, my intricate dances are marked by delicacy and charm: working with both Middle-Eastern and nontraditional music, I use densely-textured isolation combinations alongside gliding footwork and soft classical body lines, dancing from the heart with openness and warmth. Blurred/Antiqued from an original photo by Fernando Ulloa Jr. In trailblazing abstract, conceptual, and narrative theatrical work, I have explored lyrical fusion, circus fusion, and unusual props; fantasy themes and with both dark and light overtones, including fairytale and steampunk contextual transpositions; and tragicomic vignettes. 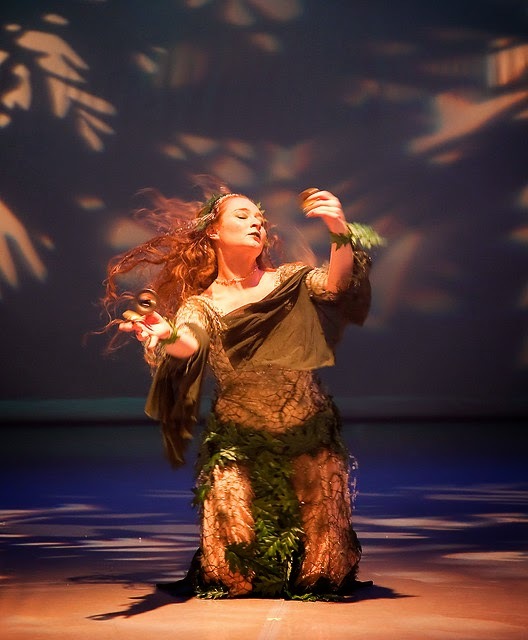 I was a guest artist of dance theater company Desert Sin in 2008, and contributed groundbreaking unorthodox belly dance performances to the DVDs Magic: Fantasy Bellydance (2008), Fantasy Bellydance (2009), and Tarot: Fantasy Bellydance (2010) (all from World Dance New York). To discuss your event, please contact me directly at (917) 686-1622. My fees are consistent with the rates of other top New York City dancers: for a typical private event I charge $250; higher rates for shows that require costume changes or travel beyond Midtown and Lower Manhattan, North Brooklyn, or Long Island City/Astoria. Please note that I’m happy to initiate social dancing after my performance is over, but I do not include audience participation in a typical appearance, do not accept jobs to embarrass a guest of honor, and will not drag "victims" on to the dance floor. I’m able to improvise when live music is available or when the unexpected arises, but unless you’re specifically looking only to create atmospheric interest, I deliver a polished floor show appropriate for a seated audience. I am a top instructor with thousands of hours of classroom teaching experience. I aim to empower students with clean versatile foundation technique, adaptable to traditional, tribal, and fusion styles, and, emphasizing purpose and integrity, promote belly dance as an artistic medium for individually-authentic self-expression. Encouraging students to take ownership of their dancing, I teach detailed movement breakdowns addressing alignment, mechanics, kinesthetic sensation, and injury prevention; nuanced musical interpretation; and an uncontrived natural beauty aesthetic. My students gain wisdom, charisma, and the graceful "finished" look of classical training. 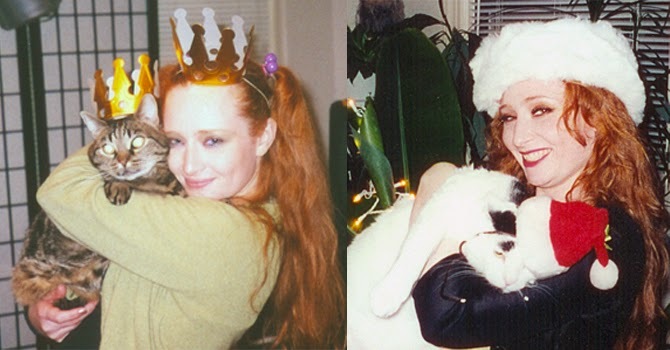 I was a faculty member at Washington DC’s largest dance school, Joy of Motion Dance Center, from 1999-2002, have been teaching independently in New York City since relocating in 2002, and travel internationally as a workshop presenter. While I approach dance and fitness as separate disciplines, my teaching is informed by best practices from the health and wellness industry: in 2009 I obtained AFAA group fitness certification, and earned a diploma from a 300-hour vocational preparation program for personal trainers. I have also studied kinesthetic anatomy with Irene Dowd. My instructional-reference DVDs, Beautiful Technique from Step One (2009) and Travel Steps (2011), are among the most comprehensive informational programs ever available to students and teachers of belly dance. My academic background is in environmental science and Russian literature. I attended Eugene Lang College in New York City and graduated from George Washington University in Washington, DC, with a bachelor’s degree in geography. After college, I worked for many years with geospatial data as a cartographer and satellite imagery analyst. Although I no longer work in this field, I have a continuing interest in ecology and natural history. While my career path may seem divergent, I feel like I have always relied on common skills in all my work: just as a cartographer must understand and interpret the earth to represent it in a map, a dancer must understand and interpret music, representing it in movement. In my spare time I enjoy baking cakes, visiting the farm animals at the Central Park Petting Zoo, reading historical romances and watching costume dramas, sewing, and getting out of New York City. Cats pictured are not my own. Yours could be next! 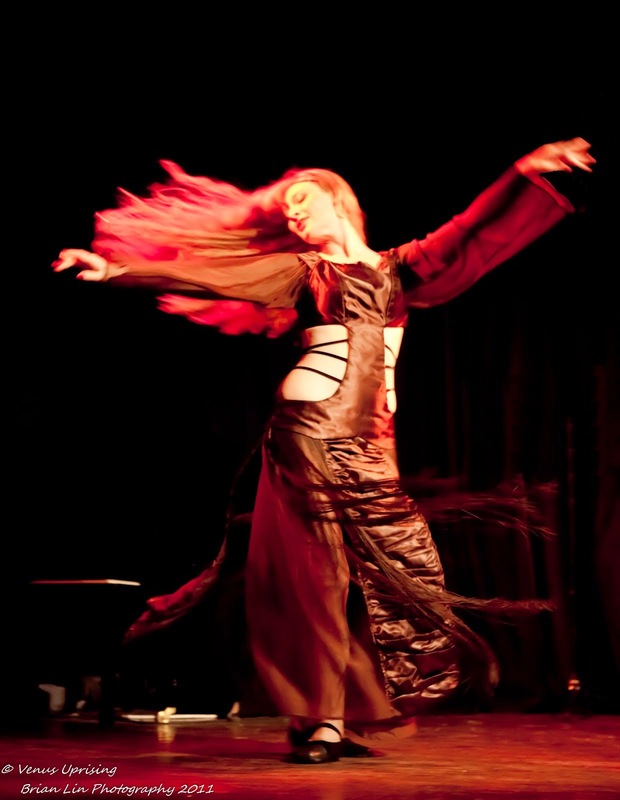 I’m a dancer, choreographer, class instructor, and traveling workshop presenter, specializing in artistic belly dance. My work on appears on the DVD Beautiful Technique from Step One as well as several other instructional, reference, and performance programs. My full dance bio is here. Click here for my dance video clips on YouTube.